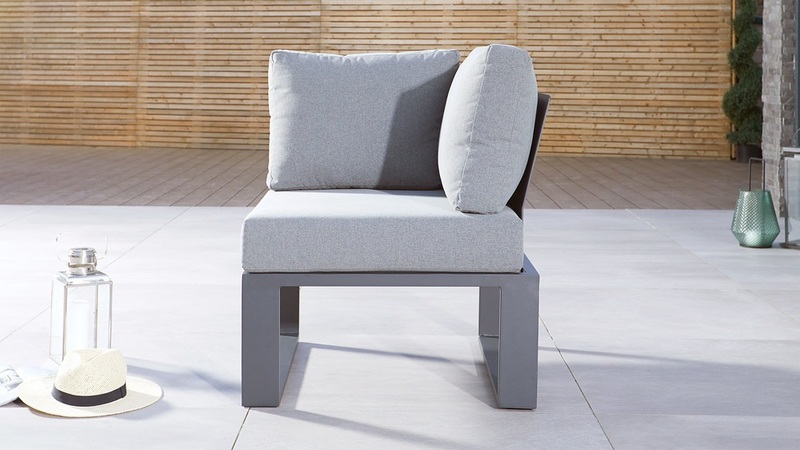 The Savannah Garden Modular Corner Seat is part of the sleek and stylish Savannah garden range. 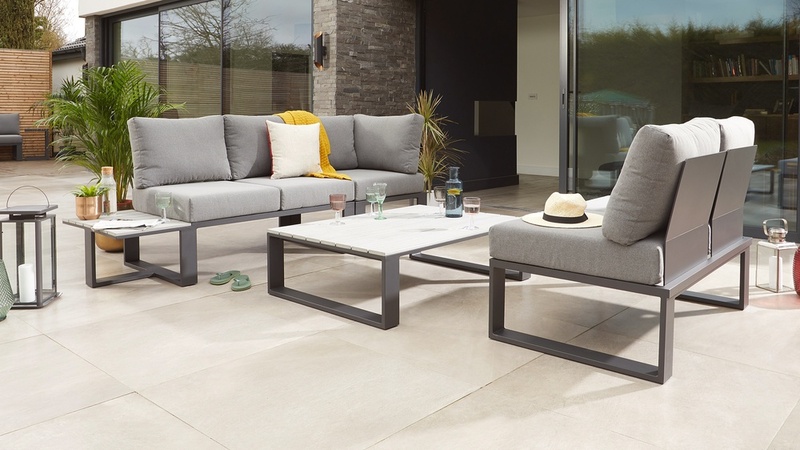 A modern modular system that can be coordinated around your seating needs, the Savannah Corner seat has adjustable feet, showerproof coated cushion and a modern grey powder coated finish – perfect for outdoor use. Exclusively created by our in-house designers the Savannah Garden Modular Corner Seat is truly one of a kind. 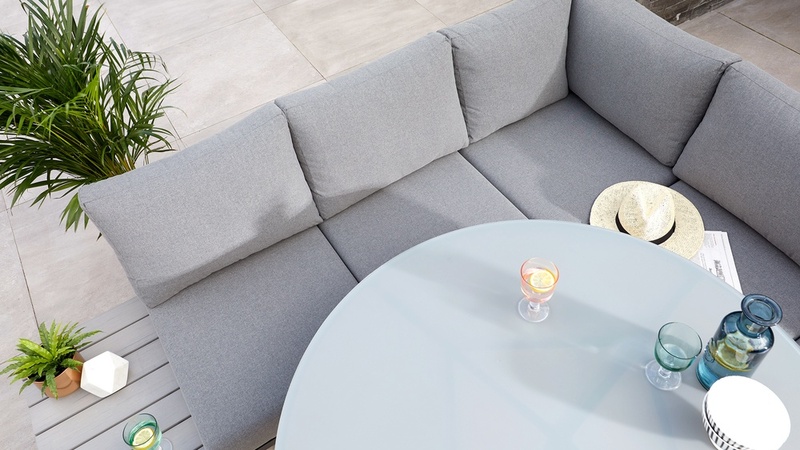 This means you won’t find it anywhere else, so your garden furniture will really stand out from the crowd. 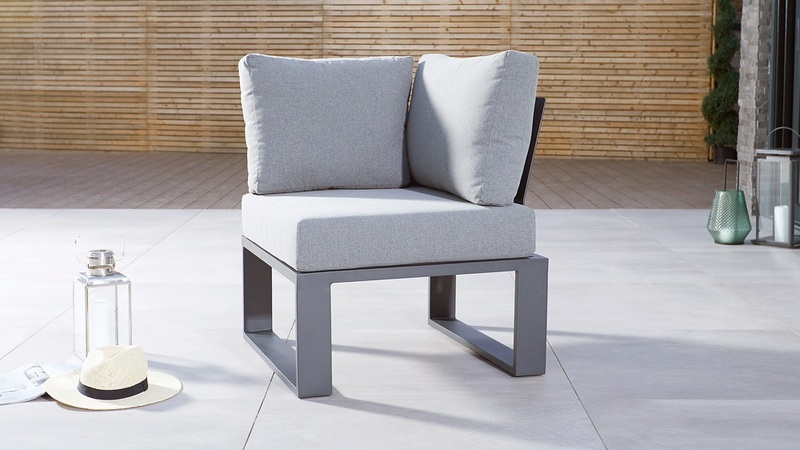 The Savannah Garden Corner Seat is finished in a grey powder coat, creating a sleek matt look that's easy to clean and maintain. A powder coat can be seamlessly matched to our range of garden dining tables and Savannah chairs to create a coordinated and designer look. 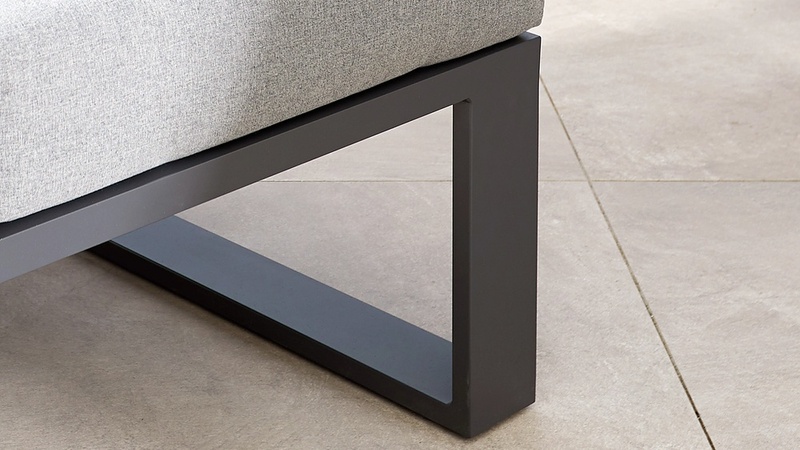 To prevent the Savannah Garden Modular Corner Seat from sliding away from other modules, we’ve included heavy-duty Velcro straps to connect them together. This means you can keep the modules in place and don’t need to keep repositioning them. 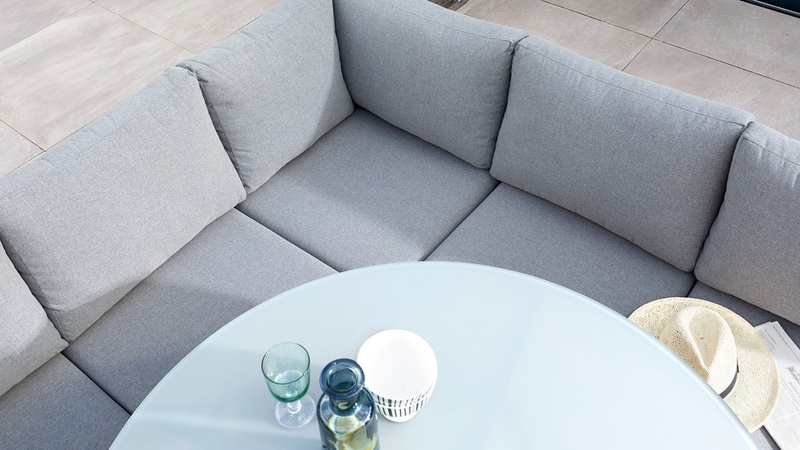 The frame of the Savannah Garden Corner Seat is made from aluminium which is naturally non-rusting and lightweight this means you can easily manoeuvre the corner seat to suit your outdoor seating configuration. 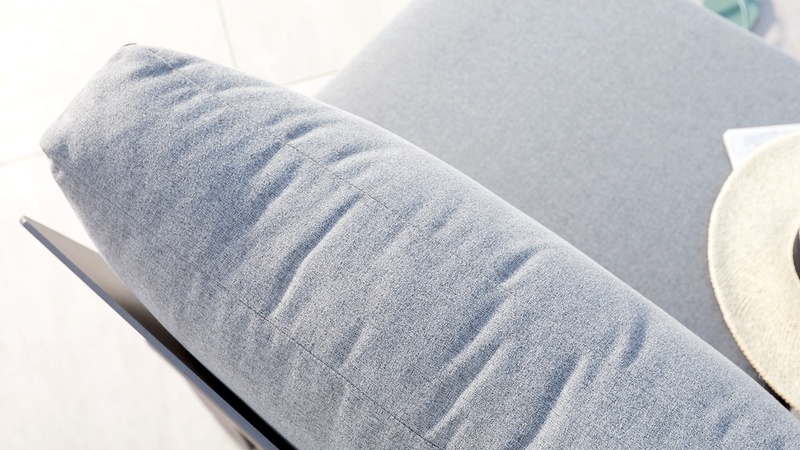 To prevent light rain or moisture being absorbed into the material we’ve treated the Savannah range of cushions with a showerproof coating. So if there is a light summer shower, you don't have to rush out to take the cushions in. It also means that spills are easy to clean as they will just wipe off. 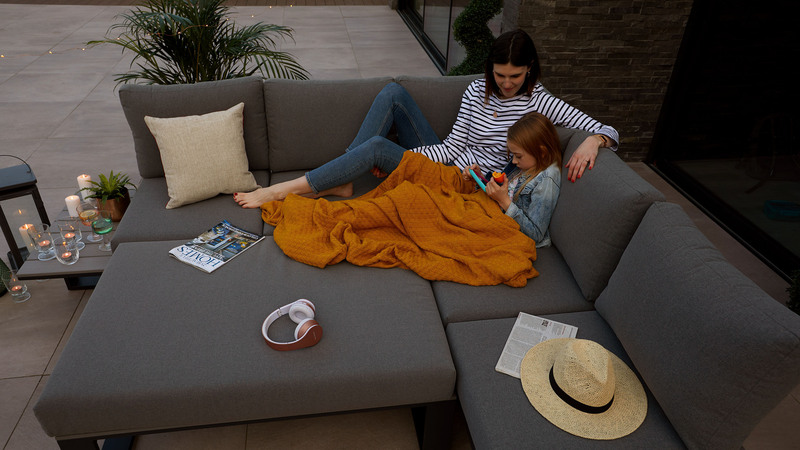 To protect the cushions even further, we've also added an anti-UV coating. This is to help prevent the fabric colour from fading in the sunlight. Most fabrics will fade slightly when exposed to direct sources of heat and light, however, the anti-UV coating slows this drastically. 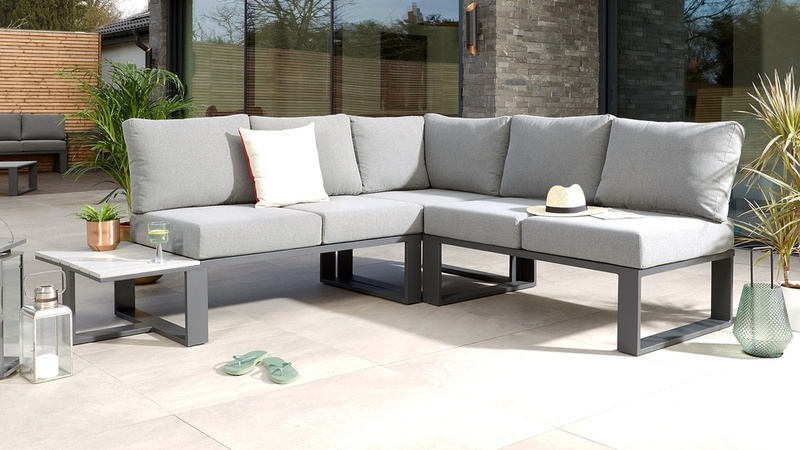 For the ultimate outdoor living space style the corner seat with the Savannah 2 Seater Sofa with Side Table and the Savannah Coffee Table.